Well we saved the best for last! Who doesn't love green eggs and ham? This Dr. Seuss classic has become a literary favorite amongst young readers. The rhyming words and simple text instill confidence in those readers who are just starting off. 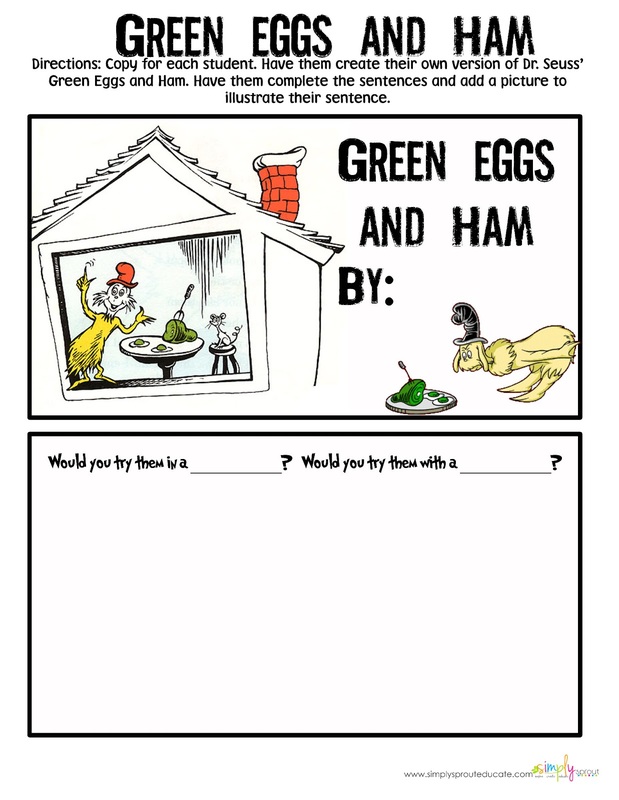 So what better way to say happy birthday to a literary legend than with a little green eggs and ham? 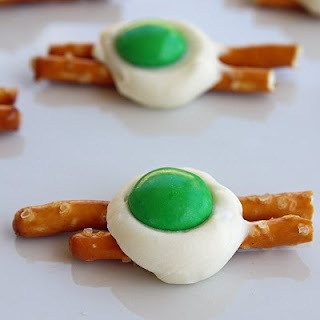 If the thought of making green eggs grosses you out just a bit... no worries here is one of our favorite snacks that will go down a little easier than green eggs. Pretzels, a dab of melted white chocolate and a green m+m...what's not to love? After reading Green Eggs and Ham with your class take a few minutes to review rhyming words with your students. 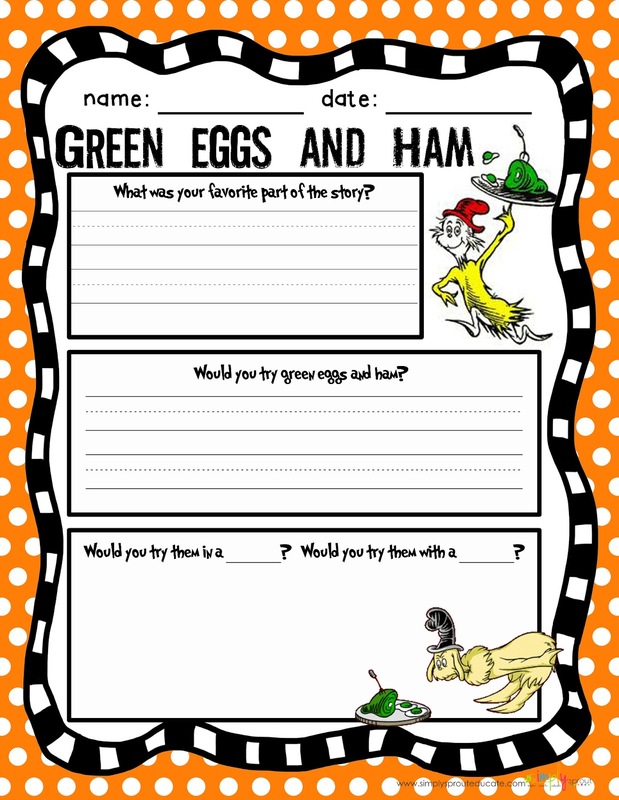 Help them to think up a few that they could use to write their own Green eggs and ham book. Have them write in their words and draw a picture that illustrates their sentences. 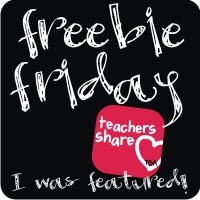 We hope you enjoy the FREEBIES below and celebrate reading in your classroom throughout the year!